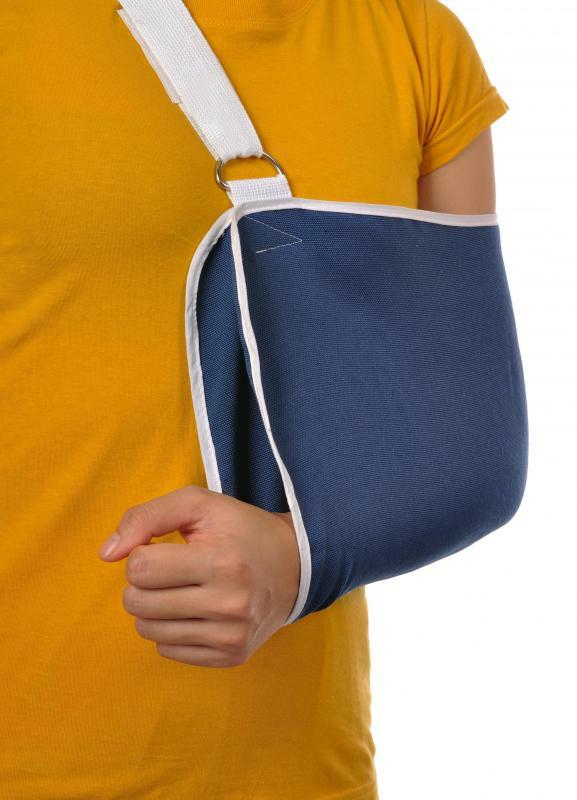 A sling is worn during the initial therapy phase after surgery. Shoulder joint replacement may be required to treat deep shoulder aches. 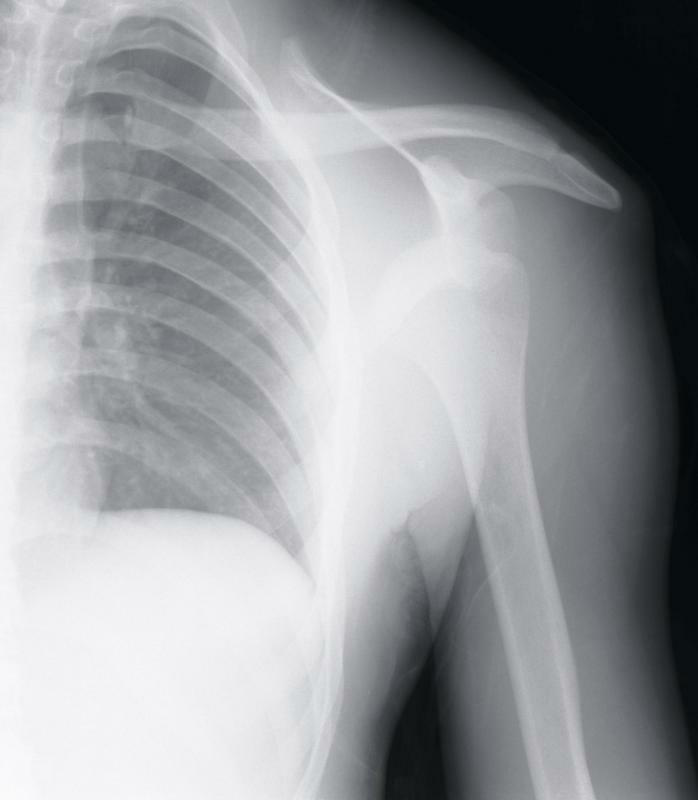 An X-ray will be done prior to a shoulder arthroplasty. Shoulder arthroplasty is also known as shoulder joint replacement surgery. It is a surgical procedure in which the shoulder joint is replaced with a ball, stem, socket made of cobalt chrome or titanium metal, and plastic. Shoulder arthroplasty isn't as common as hip or knee replacement, but can produce similar results. The most common reason for shoulder replacement surgery is to correct the inability to control the stiffness and pain of shoulder arthritis with standard treatment such as medication and rest. Often, arthritis can cause a reduction in range of motion, pain, and problems with accomplishing the activities of daily living. Shoulder arthroplasty is performed to improve overall function of the arm and can be done to correct injury from a trauma as well. Pre-surgical tests include x-rays, computed tomography (CT) scans, magnetic resonance imaging (MRI), and an electromyography (EMG) test to assess any nerve damage. The success of the surgery is directly affected by the condition of the rotator cuff, a sheath of tendon that surrounds the shoulder joint, and other muscles and tendons in the area. Sometimes, a cortisone shot is administered before surgery to reduce inflammation and swelling. The surgery is conducted in the hospital under general anesthesia and generally takes about two hours with additional time taken for recovery. Physical therapy typically begins on the first day after surgery, and a sling is worn during the beginning phase of therapy. Light activity can be resumed after four weeks and heavier activity after eight, depending on how the patient responds to the implant and surgery. After shoulder arthroplasty, patients will experience a marked improvement in range of motion and a decrease in arthritic pain. The total recovery process may take up to a year, after which 95% of patients are pain-free and have recovered much of their strength. The outcome of the surgery depends in some part on the starting condition of the muscles, tendons, and rotator cuff of the shoulder. The most common complications of shoulder arthroplasty are shoulder stiffness, infection, instability, and nerve damage. Infections are treated with antibiotics, and the stiffness and instability usually resolve with additional physical therapy. The key to a full recovery is completion of shoulder rehabilitation. Although not as common as hip replacement or knee replacement surgery, shoulder arthroplasty can be effective in managing end-stage arthritis of the shoulder joint when other treatments are no longer working. How do I Treat a Stiff Shoulder? What are the Most Common Shoulder Symptoms? 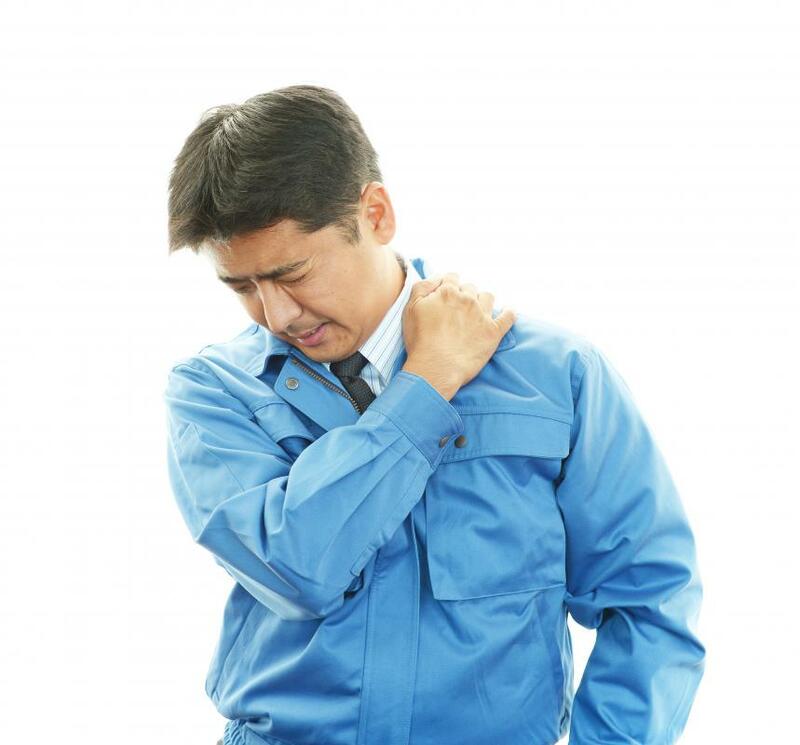 How do I Treat Shoulder Muscle Pain?